Silversilk is a brand that has a way with taking quality and style and blending them into one irrefutable entity. 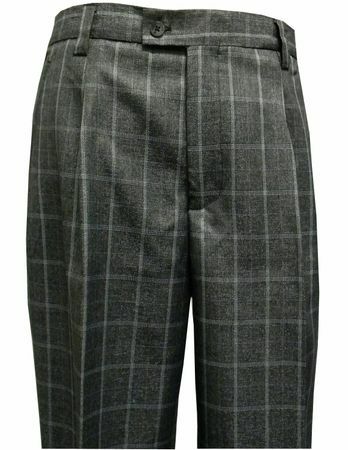 You'll see that Silversilk dress pants aren't just nice looking pants made of really nice fabric that feel nice but are dress pants that are well made using full dress pants construction tailoring methods. When quality and style count in your book, you'll only need to take a look inside a pair of Silversilk dress pants to see that these aren't cheaply made dress pants. It's all in the detail. What you'll see are full constructed waistbands that have that bit of rubber trim inside that helps keep your shirts properly tucked. The waistband also has canvas sewn inside so it gives proper shape and doesn't roll over like a pair of cheaper dress pants would. 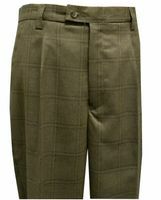 You'll also find that Silversilk dress pants come lined to the knee as well just as the slacks on a nice suit. These are the types of things that make Silversilk dress pants special.